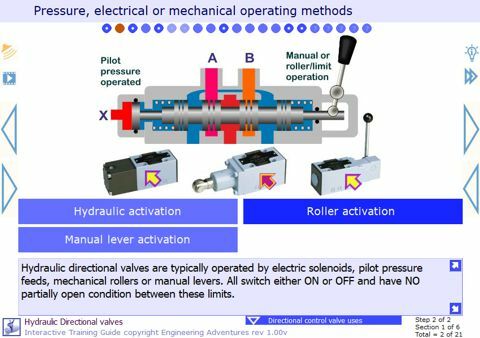 Learn how hydraulics works. 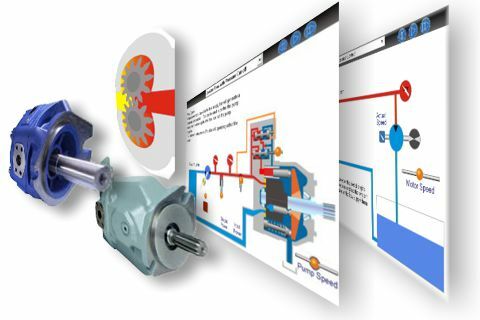 Free online hydraulic training courses for pumps, motors, control valves and system design. Structured lessons. Self-drive, micro-learning tutorials. Try our FREE educational resources. 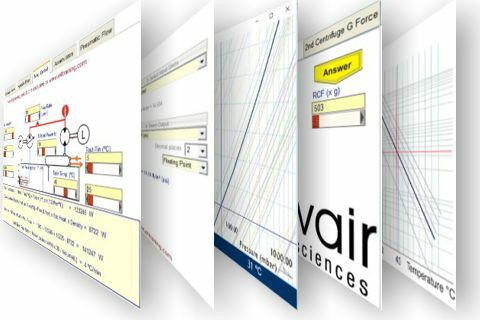 Online experiments and simulations. Design aids and calculators to help you understand, create, analyse. 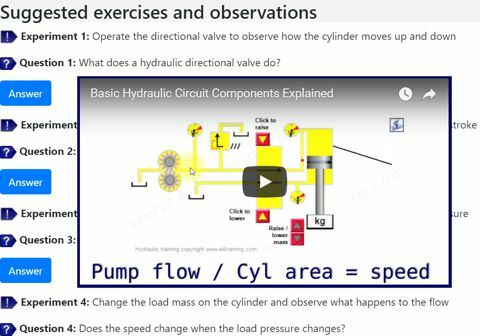 Choose from our huge list of hydraulic training courses, videos, simulations and animations, or read our hydraulic explanations, tips, and advice. 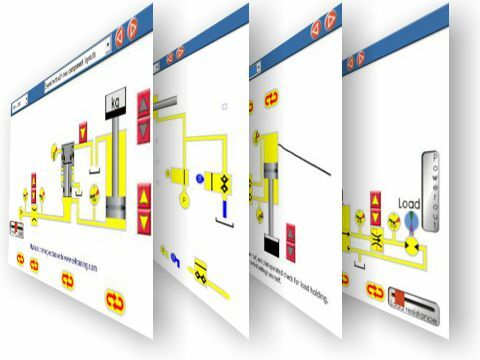 Includes fundamental principles, hydraulic pumps, motors, control valves, power units, actuators, maintenance, system design, strategies and much more! 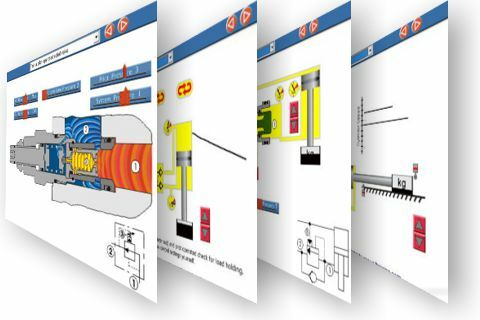 Learn by experimenting with our online hydraulic equipment simulations. Certificates can be provided for coursework completed. 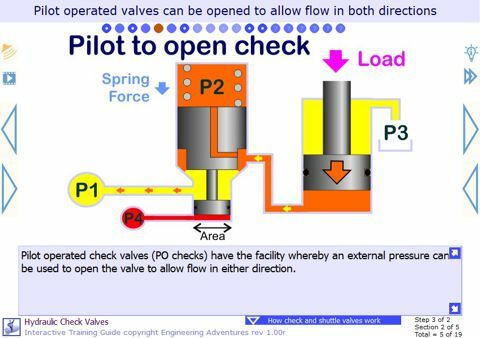 New - 2-4 Hydraulic maintenance features and procedures. 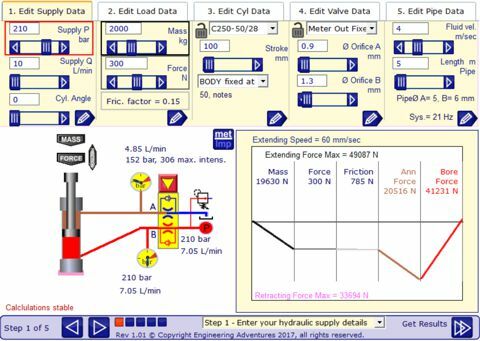 Advanced calculators and design guides that will help you specify the best hydraulic components. Includes power units, cylinder system, pipework and hydraulic hose. Please let us know what you think of our training resources. We can only improve the content with your help. 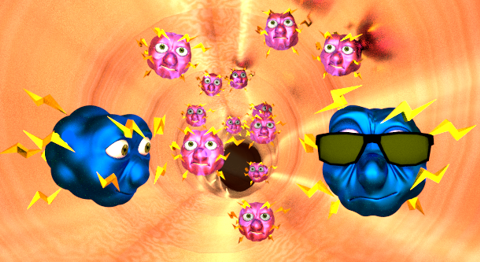 New educational science cartoons to engage children in engineering. History of Steam Locomotives - Steam engine history, engineering and simulations. Health and Safety VDU regulations - Protect yourself against computer injuries. Holiday castle for rent in South Devon.